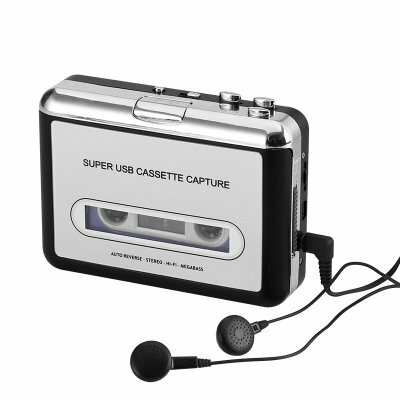 Successfully Added Cassette Tape-to-MP3 Converter - Plug and Play, Win + Mac Compatible, Auto Reverse, Audacity Audio Software to your Shopping Cart. Tape-to-MP3 Converter comes with 12 months warranty, brought to you by the leader in electronic devices as well as wholesale cool gadgets.. It's a Good Product & I am satisfied using this product.